The Cheap Place is the leading wholesale patch seller for biker clubs, internet re-sellers, and motorcycle retailers they have recently expanded its line to over 2,500 patch styles at wholesale and over 4,000 styles available for retail. 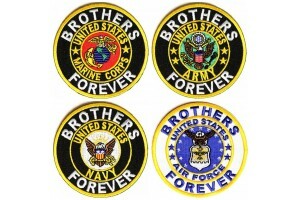 The leader in wholesale embroidered patches for bikers, motorcycle riders, veterans, and enthusaists. The Cheap Place is the leading wholesale patch seller for biker clubs, internet re-sellers, and motorcycle retailers. The company makes it easy to purchase a variety of patches at a low cost without the need of a middleman. The Cheap Place has gone another step forward by increasing its patch product line to over 2,500 patch styles available for wholesale and over 4,000 available in retail. The Cheap Place has set the standard for the industry with customer service, low prices, and a vast selection of patches to choose from. The store is set up to be the perfect solution for both retailers and individual customers alike. The company has been meeting and exceeding all expectations of their clients for more than seven years, and they have over 2,500 different patch designs in stock. The Cheap Place designs and manufactures their own Ivamis brand patches so they knock out the middleman from their process. The Cheap Place makes it easy to create an account by only asking for basic information. Customers have the option of creating a wholesale account or shopping at the retail price. Even at the retail rate, customers get a significant discount when compared to other companies in the industry. They can now save even more at The Cheap Place with a wholesale account. Minimum orders for wholesale patch accounts are $100 and three pieces, so retailers and clubs can get what they want at the right price. Patches can be purchased at a wholesale rate as low as 80 cents per patch and the company offers same-day order fulfillment. 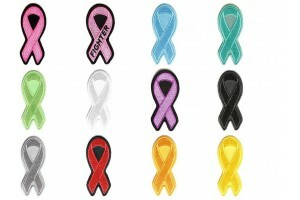 While the patches are sold wholesale, customers do not have to purchase a large number of the same patch. All retailers can choose as few or many as they like and still get the benefit of the wholesale price as long as their order is a minimum of $100. This makes The Cheap Place ideal for individual bikers and motorcycle retailers. 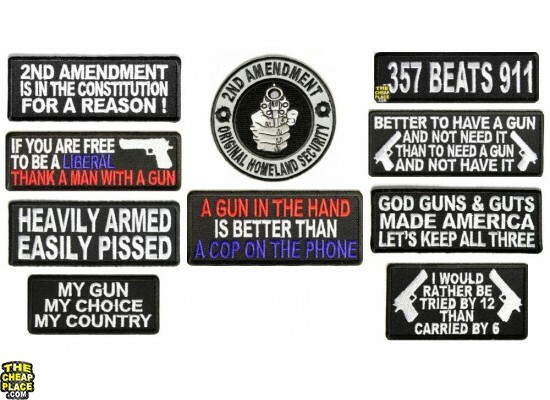 The Cheap Place has a variety of wholesale patches to choose from including funny patches, biker-themed patches, flag patches, Christian patches, and even military patches. If a customer can imagine a patch, they can probably find it at the Cheap Place. The company runs specials all the time and discounts their patches even further. There is even a clearance section and a best-seller section. Customers should always check the promotions section of the website to see what deals they can find on a daily basis. To find out what is coming soon to the shop, customers can go to the website and see the patches that will be available at a later date. If they like a patch or two that is not yet available, the website has an option for the customer to be notified when it is available for purchase. In addition to offering a variety of patches to choose from, The Cheap Place also sells patch displays. 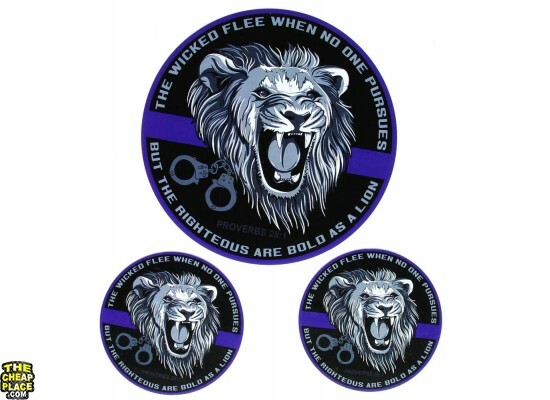 The Cheap Place is the wholesale store for bikers and vets to purchase their patches. There is a lot of variety available and customers get a great deal. Any patch The Cheap Place makes can be customized (with a minimum order of 20 pieces). Just click the “Customize” button on any patch we make, describe what you want done, and the friendly staff will email you a quote. The Cheap Place always has new patches that arrive to keep their inventory fresh. Just this month, 70 new patch designs came in. To always see the latest new styles for retailers, check out their What Arrived Today category. The Cheap Place is a family business that provides a wide selection of quality embroidered patches, as well as pins, stickers, and other accessories. The business was founded by Erhan Simavi in 2009 and has grown into a destination for patch enthusiasts. 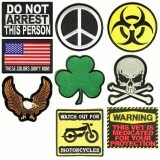 The Cheap Place sells biker patches wholesale and individually. They stock what they sell, which means orders ship the day they are placed. Their customers include bikers, veterans, first responders, law enforcement, and much more.